Most educators plan a videoconference. They determine what they will do during the videoconference such as educator A reads a book and then educator B reads a book. However, they have nothing against which to measure their plan to determine the quality of the learning in a videoconference. Perhaps if they had a way to determine the quality of learning for their videoconference, they might want to make some modifications to improve the quality of learning. When I do professional development on videoconferencing, we do a videoconference and then we evaluate it. The follow represents a part of the pre-assessment. Unfortunately due to publishing restrictions (I just written a chapter on assessment in videoconferencing which has been accepted in a videoconferencing book.) I cannot show the whole pre-assessment. I find that whenever teachers pre-assess a videoconference plan at least a few weeks before a videoconference, they make drastic changes in the videoconference. They raise the quality of learning dramatically once they are aware. Do you pre-assess the videoconference plan and, therefore, improve student learning? I grew up in a text based school environment. We read Shakespeare’s A Midsummer Night’s Dream word by word, line by line, page by page, scene by scene. I struggled just to understand what was happening, I usually did not get around to thinking about the themes of the play. Today’s students can do many technology-infused learning activities. Many of these technology-infused activities allow the students to be fully engaged and to be doing higher level thinking. Are English teachers in your school text based or technology based? You can use the first column as a check list. Teachers can help their students to better understand any play through technology. I recently watched a videoconference between two elementary schools. During the thirty minute videoconference, the educators only asked one question (a prediction one) to the students. The educator accepted about three answers and then moved on; probably the students responded for a total of about thirty seconds. So 30 seconds out of 30 minutes x 60 seconds = 30/1800 = 1/600 = 1% of student time. Did they have fun? Sure, they did. The two educators commented on the fun factor. A recent math study revealed that fun is not necessarily connected to learning; in fact, the more fun students rated math, the worse they did in math. The USA was in the middle range on this. I do not think that it is an learning and fun is an either or situation but we have to insure that learning is the priority. A school district recently had training on podcasting. The attendees were all excited. Someone asked if she could create podcasts on the computers in her school. The school technician responded that her school did not have the most recent version of the software so she could not. Another teacher asked how many ipods were available and he was told it was up to the buildings to buy them. Another teacher asked where they were going to post the podcasts and the school technician stated that they had not worked on that. No matter how exciting a professional development is, the school district must have the supports in place to support that particular professional development before the actual professional development. These teachers are excited about podcasting but disillusioned about actually using it. Will they give up on it before the technology supports are in place in the far future? What happens in your district? Last night I had the opportunity to watch Al Gore’s documentary, An Inconvenient Truth. I realized how powerful his visuals were. His images showed the impact of global warming through charts and through simulations. As he was talking, I did not doubt him but I felt unconvinced. However, as I saw a simulation of the impact of global warming on icecaps and the potential flooding in areas like Florida, I saw the horrible possible future. I was moved. His images were convincing. I wonder how powerful are the images that teachers use in the classroom? Are they compelling images? Do those images move students to new view points? To greater understanding? To more higher level thinking skills? Or do they just decorate a presentation? What is your truth about visuals in your classroom? 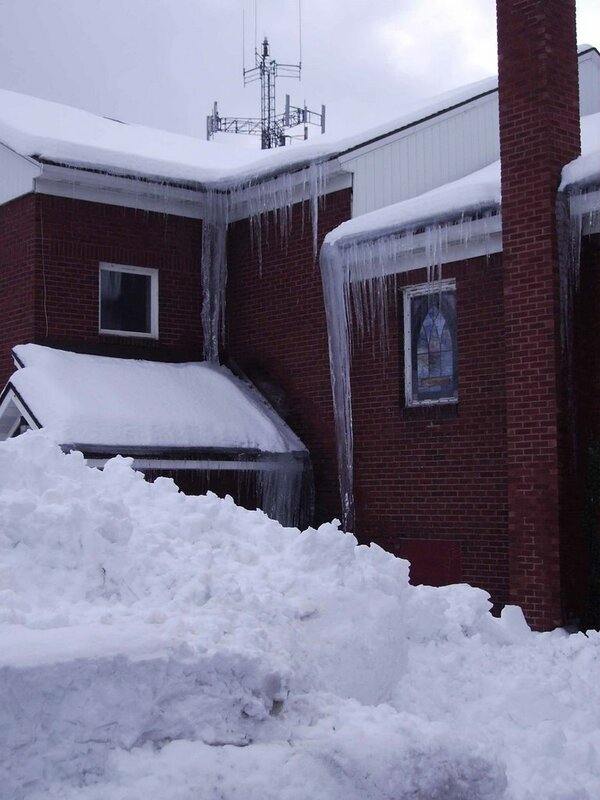 Can they convince students as to what winter is the Northeast is like? In getting ready for a presentation, I spent several hours on YouTube. 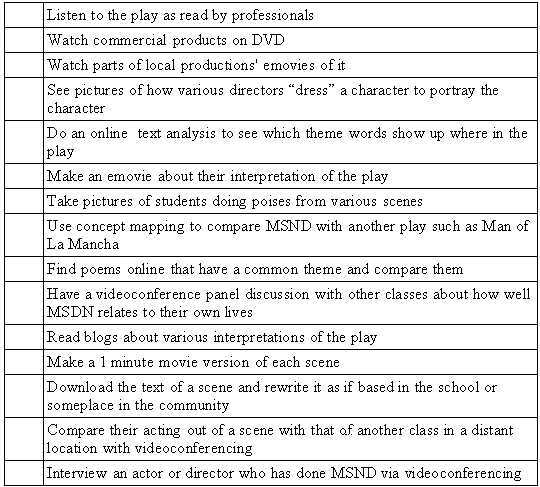 I found some amazing things for use in a classroom such as other students’ or classes’ production of Shakespeare. However, the thing that shocked me the most was all the cellphone videos taken of teachers. Almost all of these depict teaching at its worst – boring, off of topic, wasting time, etc. From the descriptions I sense that the teachers were not aware of being recorded. It hurts to see such “bad” teaching. Maybe if we are thought that we were being recorded then we would teach better.